Cobalt is one of the many abundant mineral and other natural resource riches, that involves so much of the rest of the world in the constant, tragic warfare in eastern Congo. 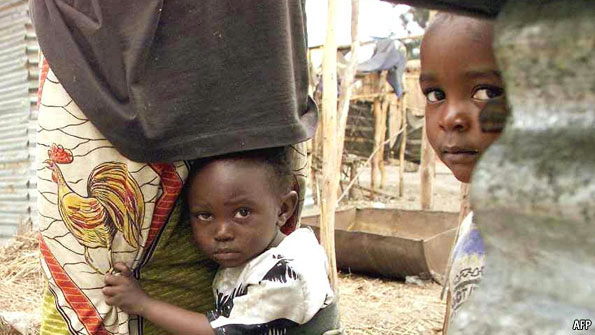 (5) The most recent war in the Democratic Republic of the Congo, which erupted in 1998, spawned some of the world’s worst human rights atrocities and drew in six neighboring countries. (6) Despite the conclusion of a peace agreement and subsequent withdrawal of foreign forces in 2003, both the real and perceived presence of armed groups hostile to the Governments of Uganda, Rwanda, and Burundi continue to serve as a major source of regional instability and an apparent pretext for continued interference in the Democratic Republic of the Congo by its neighbors. [Uganda, Rwanda, and Burundi]. What President Obama identified, as the « real and perceived presence of armed groups hostile to the Governments of Uganda, Rwanda, and Burundi » was, most of all, the real and perceived presence of « Hutu militias. » They were indeed the « pretext » for the predominantly Tutsi Rwandan Patriotic Army’s massacres of Hutu civilians, Rwandan Hutu refugees and Congolese Hutus, with the help of the Ugandan People’s Defence Force (UPDF)—massacres now documented in the UN report which was first leaked to Le Monde on August 26th, then officially released on October 1st. Since Obama described the militias as « apparent pretext for continued interference » in 2006, we can assume that he understood them as such on his Inauguration Day, January 20, 2009, when Rwandan troops again moved into Congo. 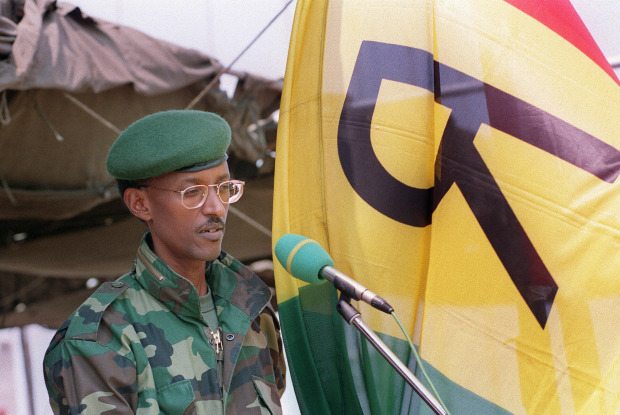 On that day, world headlines, alongside those he himself was making, included « Rwandan Troops enter D.R. 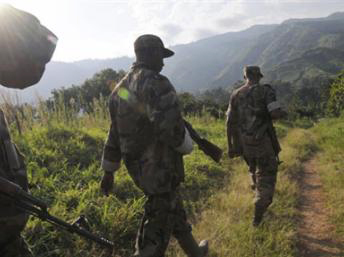 Congo to hunt Hutu militias » (Telegraph), « Rwandan troops enter Congo to hunt Hutu rebels, » (BBC), « Rwandan troops enter Kivu to hunt Hutu rebels, » (Radio France International). Since Obama understood the pretext in 2006, he no doubt understood it that day and no doubt understands it today, as Rwandan and Ugandan troops are rumored, once again, to be moving into Congo, despite international outcry about the UN report. Hutu militias and other « rebel militias » in Congo, can no longer serve as the devil, the eternal excuse, or, as Obama said, the « apparent pretext for intervention in the Democratic Republic by Congo’s neighbors. » Most of all, they can no longer serve as the devil, excuse, and pretext for interventions by Paul Kagame, the general turned president and so long heroized as Rwanda’s saviour, because Kagame’s own army’s massacres of Rwandan and Congolese Hutu civilians has now been documented in the UN report. The leak and now, the official release, have, finally magnified President –then Senator– Obama’s obscure, still little known revision of the East/Central African story in his 2006 legislation, S.B. 2126, which then became Public Law 109-456. Obama’s « Rwanda moment »? 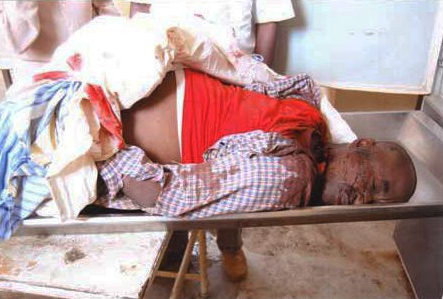 John Prendergast and David Eggers, the ENOUGH Project’s tireless advocates for U.S. intervention in Sudan, suggested, in a New York Times Op-Ed that Obama’s « Rwanda moment, » like Bill Clinton’s in 1994, is now, in Sudan, where, they say, Obama has a chance to do what Bill Clinton reputedly failed to do in Rwanda, intervene to stop genocide. But Obama’s Rwanda, and Congo, moment, is in Rwanda and Congo now, as the world reviews the UN report and Rwandan troops once again advance into Congo. He doesn’t need to intervene, but to stop intervening, by withdrawing the military support, weapons, training, logistics and intelligence, for Kagame; support that has so long equalled intervention. If he did so, peace and human rights activists all over the world would stand behind him and the narrative revision that he quietly penned three years ago. An Obama decision to stop supporting Kagame would go up against the last 30 years of Pentagon intervention in the Great Lakes Region of Africa; but the UN Report turns his 2006 narrative revision into an outright reversal, with the weight of the United Nations High Commission on Human Rights, and growing international opinion, behind it. Obama is the Commander-in-Chief, with absolute executive authority over the U.S. Armed Forces. 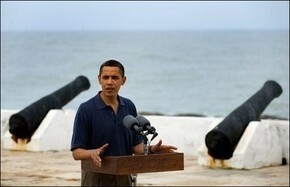 Yes, he can stop the destructive U.S. role in Central Africa should he choose to. On Aug. 27, the French daily Le Monde leaked the news that a long report by U.N. High Commissioner for Human Rights Navanethem Pillay  of South Africa calls the “systematic, methodical and pre-meditated crimes perpetrated against the Hutu” by the RPF (Rwandan Patriotic Front) in Zaire in 1996-1997 “crimes against humanity, war crimes, and even genocide crimes.” The report has not yet been officially released but is already circulating freely. Nevertheless, both articles end by reaching the same major erroneous conclusion stated by most of the press articles that have appeared since the report was leaked: the need, they say, to establish a tribunal with jurisdictional authority over these crimes. Not only does such a court already exist but, on Feb. 6, 2008, it already issued arrest warrants against 40 RPF top officials who are allegedly responsible for the crimes in Congo referred to in the new U.N. report. This court is Spain’s Audiencia Nacional (National Court) which, pursuant to the principle of universal justice, possesses full jurisdiction to prosecute this kind of crime. It is by virtue of this principle, for example, that the arrest of Augusto Pinochet was possible in London and that today the Interpol and the SIRENE network are acting on the 40 arrest warrants cited above. Let us also remember that the four Spanish Marist clergymen who were accompanying the Hutu refugees and who had previously condemned internationally this huge slaughter were murdered by the RPF in the Nyamirangwe refugee camp in eastern Congo on Oct. 31, 1996. 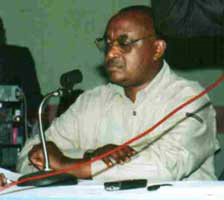 • having a submissive and controlled Hutu population, devoid of intellectuals or leaders, repopulate some of the regions in Rwanda that the RPF “operations” had left so deserted that they could potentially become a permanent black mark for the RPF that the international community would readily decry. Unfortunately, the U.N.’s 14-year silence has had tragic consequences. Thousands of conniving silences have allowed those criminals basking in the bogus moral halo of having allegedly halted the genocide by Hutu extremists in the spring of 1994 to continue causing, with utter impunity, tremendous suffering in Rwanda and Congo! 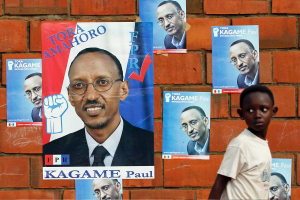 But the report, whose recent leak has spurred widespread international coverage, could be the beginning of the end for Paul Kagame, who at the time was already head of the RPF and is now also president of Rwanda. True, up to now, it has only been a leak. But the facts of the report are now in the public domain, above and beyond the sequel of pressures, blackmails and deals about to take place from now on, hushed and behind the scenes of the high political and economic circles of our times, primarily with the purpose of eliminating the word “genocide” from the text. Indeed, at long last more and more analyses are appearing about this situation which some of us had already been analyzing 14 years ago as the incidents themselves were occurring. Already as early as October 1996 and more pointedly from February 1997 onwards, we condemned the massive massacres of Rwandan and Congolese Hutu being carried out in true genocidal manner, the cremation of tens of thousands of bodies, the extermination through starvation etc. Our documents were signed by some 20 Nobel laureates, as well as by heads of the political groups of the European Parliament. How could our world leaders not possibly have known of crimes on such scale? How could Spain’s Ministry of Foreign Affairs not have known either? We ourselves had those documents handed to Bill Clinton and others truly and ultimately responsible for this genocide. In addition to the diplomatic channels, Elie Wiesel, survivor of the Nazi extermination camps and Nobel Peace laureate, promised our colleague Adolfo Pérez Esquivel, a Nobel Peace laureate as well, to personally hand them to Bill Clinton in the meeting he was to have with the president shortly thereafter. On the other hand, on Feb. 24, 1997, after my 42-day fast at the European Parliament in Brussels, I personally handed these documents to Abel Matutes1 , native of Ibiza, who was Spain’s minister of foreign affairs at the time. Inocencio Arias, spokesman for the Ministry of Foreign Affairs, was with him at that meeting. I, in turn, was accompanied by Mercé Amer, Socialist regional/autonomic secretary of Mallorca. As it was, heightened tension reigned at the meeting due to the assassination of three Spanish volunteers of Médicos del Mundo merely a few days before. We now know that the RPF perpetrated this crime, even though the strong propaganda machine of the international godfathers of this criminal organization had managed within hours to get the world media to attribute this triple murder to extremist Hutu once again. 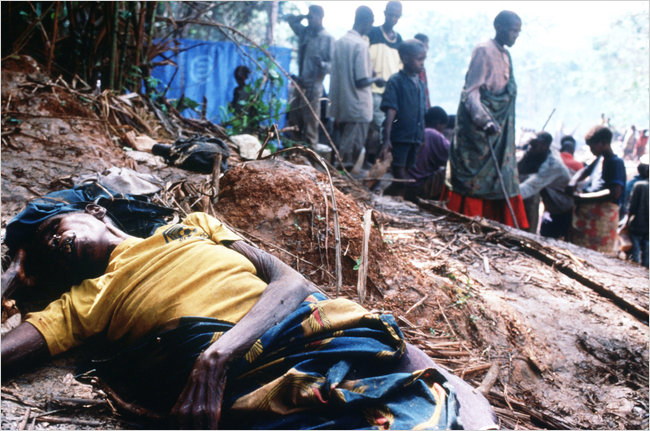 In this genocide, the count of ethnic Hutu, both Rwandan and Congolese, violently eliminated by the RPF since 1990 should be estimated at hundreds of thousands at least. The scale of this genocide is even much larger if we consider the millions of victims, not only Hutu but also from other Bantu ethnic groups in Congo – or simply “not Hima-Tutsi,” as the racist RPF elite calls them. They died not only through violent force but primarily due to starvation and other reasons related to the aggressions inflicted on Zaire/Congo by Rwanda, Uganda and Burundi in their genocidal attempt to establish in that region an empire controlled by Hima-Tutsi clans. The High Commissioner for Human Rights has merely investigated the tip of the iceberg of this genocide, since it has looked at merely 600 violent incidents only in Congo and only from 1993 to 2003. It is a genocide in which already as early as 1997 – that is, one year before the second and deadliest invasion – the report of the U.N. team headed by the Chilean Roberto Garretón  documented the investigation of around 40 locations in Congo and put the death count at up to 100,000. A hint of the scale of this genocide can be found in a report by the International Rescue Committee which estimates 5.4 million victims in Congo until 1997 – in excess of the normal mortality figures – due to causes related to the aggressions staged there. That’s not the news. The real news is something else: namely, that in a move that breaks the code of silence that has reigned within the U.N. for too many years, the High Commissioner for Human Rights reveals that the U.N. Security Council and U.N. Secretary-General Ban Ki-moon and Kofi Annan before him – the same parties who less than a year ago accused some of us of financing the genocidaires – have actually spent more than a decade covering up the continuous genocide carried out by the RPF from Oct. 1, 1990, until today, which probably constitutes the largest one since the U.N. was founded! 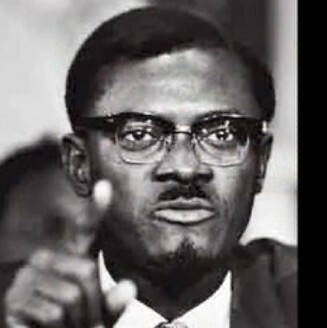 Jean-Philippe Rémy’s article cited above is entitled, precisely, “A Long Set of Obstacles to Justice and Truth.” As Glen Ford well said in the analysis he wrote shortly after the leak of the report, “Rwandan Crisis Could Expose U.S. Role in Congo Genocide ,”4  we are facing “a political crisis that threatens to disrupt Washington’s plans to dominate the continent. 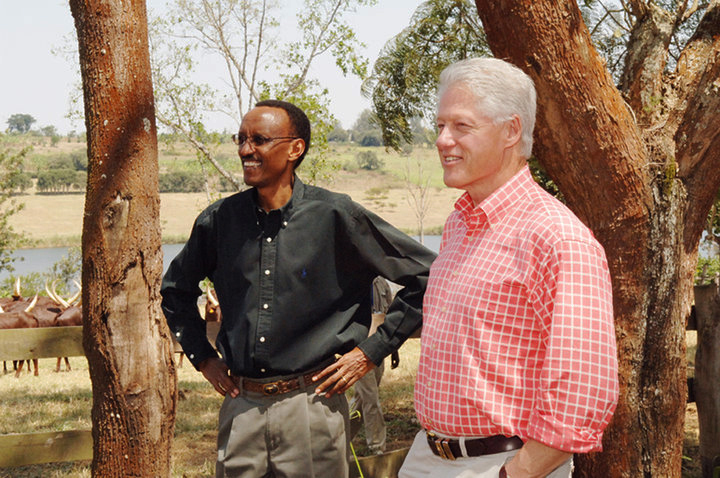 Former U.S. President Bill Clinton visits Rwandan President Paul Kagame on Kagame’s farm in Muhazi. The Rwandan government has reacted by making virulent threats, and the High Commissioner has postponed the report’s release until Oct. 1. The following weeks will be marked by a fierce struggle to delete the word “genocide” from the report, since this classification would require the immediate intervention of the international community. Nevertheless, something new is happening in this great conflict as a significant movement of pieces appears to be taking place on the board. Another fact also evidences this: The important Gersony report 5 , up until recently eerily unavailable, suddenly surfaced this past Sept. 7. It is another honest report, done as early as 1994, but in this case by the U.N. High Commissioner for Refugees. The report has remained suppressed since then and high-ranked U.N. officials even denied it had ever existed. It documents the systematic ethnic cleansing of Hutu, genocidal in nature, carried out by the RPF in the Rwandan interior6  during 1994. Former Rwandan Foreign Minister Jean-Marie Vianney Ndagijimana makes this statement in his excellent book recently published, “Paul Kagame a sacrifié les tutsi”7  (“Paul Kagame has sacrificed the Tutsi”). Upon receiving a photocopy of the Gersony report, I asked him to confirm its authenticity, which he did, although he added that an annex is missing. Jean-Marie Vianney Ndagijimana, of mixed Hutu-Tutsi descent, had testified in the lawsuit we filed at the Spanish National Court and is now the person responsible in France for the Intra-Rwandan Dialogue we have been sponsoring since 2004. This extraordinary Rwandan witnessed first hand the wheeling and dealing behind the suppression of the compromising report. Others didn’t act with such ethics and integrity: Kofi Annan, U.N. Under-Secretary-General for Peacekeeping at the time; Shahryar Khan, U.N. Secretary-General’s Special Representative to Rwanda; Timothy Wirth, Undersecretary for Global Affairs, including matters of human rights; Brian Atwood, director for Africa of USAID, which had financed the investigation aimed at determining whether the interior of Rwanda was equipped for the return of Hutu refugees. “Kagame’s army and allied militias knowingly committed wholesale killings of Hutus, often ‘mostly children, women, old and ill people.’ Indeed, the (leaked U.N.) report goes on to say that some of the attacks could have amounted to a genocide,” according to The Economist. Prior to the meeting of the Rwandan president with the assistant secretary of state, all individuals cited above had met several times with Jean-Marie Vianney Ndagijimana, on one occasion with Robert Gersony present. 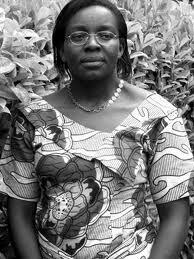 The former minister described that some of them had spoken very harshly to the Rwandan president. But the fact is that the Gersony report was suppressed and none of the people mentioned above ever condemned the terrible ethnic cleansing that had taken place nor the cover-up of such an important piece of evidence. Kofi Annan showed the report to Jean-Marie Vianney Ndagijimana and even let him read it but refused to give him a copy. Thus, already back then the future U.N. Secretary-General knew very well that the theory of a double genocide was not wrong. And it is certainly far from being a form of negationism and hence a crime, as Ramón Lobo has dared state in the Spanish daily El País. Good heavens! – daring to label as criminals Judge Fernando Andreu, who accuses Kagame and 40 top officials from the RPF of committing crimes of genocide, and now High Commissioner Navi Pillay, who signs the recent U.N. report! Yet this journalist is not alone. Many are the know-it-all analysts, who have no qualms writing about any matter of the moment, even about conflicts as serious and complex as this one – or who, rather, have only listened to the powerful rhetoric of the Manichean official doctrine that resolutely maintains that the story of the genocide is one of genocidaires on the one side and noble liberators on the other. As we suspected and made public at the time, Ban Ki-moon’s efforts to bill genocidaire Paul Kagame as the superhero of the struggle against hunger and other evils plaguing our world have possibly infuriated and mobilized the group of people with integrity still to be found at that big organization which is the U.N. Let’s just hope that Navi Pillay doesn’t end up sacked for the same reasons for which others were ousted in former times: U.N. Secretary-General Boutros Boutros Ghali, ICTR (International Criminal Tribunal for Rwanda) prosecutor Carla del Ponte, among many others. Let’s hope that the time has come; let us hope that those who pull the strings realize that sustaining this sham, this disgraceful impunity, is untenable at this point. We firmly believe that those of us outside the U.N. should help enable those upright individuals within the organization to keep it from serving the interests of the Trilateral Commission10  and of other powerful and elitist groups instead of serving the interests of peoples. In this respect, we share the views expressed by Adolfo Pérez Esquivel and Mallorquinian Sen. Pere Sampol, who was vice-president of the government of the Balearic Islands and knows well the mazes of political intrigue. Spain’s prime minister, however, may still be able to change fate. He just needs to continue on the path he started by not meeting with Paul Kagame in Madrid; he just needs to refuse to co-chair together with this criminal the Advocacy Group of the Millenium Development Goals. He just needs to cooperate with Spain’s Audiencia Nacional on the legal proceedings against the 40 top officials of the RPF. He just needs to meet – at long last – with the families of the nine Spanish victims. 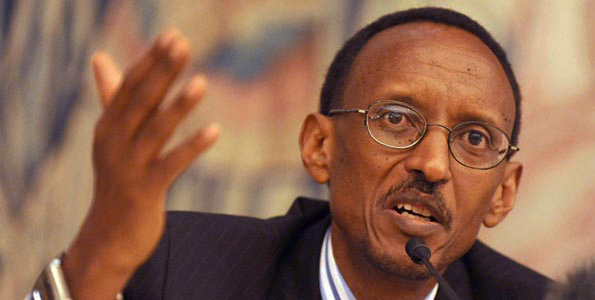 Dictator Paul Kagame admits the charges of genocide on Hutu refugees in Congo. (Reuters) – Crimes committed by Rwanda’s army and Congolese rebels in Congo during the 1990s could be classified as genocide, a leaked draft U.N. report says, a charge that will stir tensions between Kigali and the U.N.
A Congo expert said diplomats were wrangling over whether to include the highly sensitive genocide accusation in the final version of the document. The report details crimes committed in the former Belgian colony between 1993 and 2003, a period that saw the fall of dictator Mobutu Sese Seko and a five-year conflict involving six foreign armies, including Rwanda’s Tutsi-led force. Millions of people died, most from hunger and disease rather than violence. After quashing the 1994 genocide of 800,000 Tutsis in Rwanda, Kigali’s army invaded Congo, ostensibly to hunt down Hutu fighters who had taken part in the killings and then fled into the east of Congo, known then as Zaire. 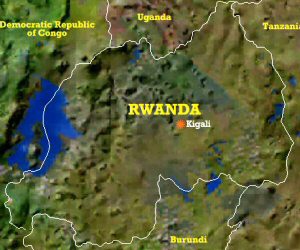 In the process, Rwandan forces swept the Congolese AFDL rebels of Laurent Kabila to power in Congo. 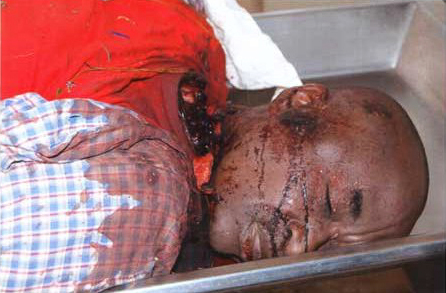 Both forces have been accused of a string of rights abuses against Hutu soldiers and civilians across the country. « The systematic and widespread attacks (against Hutus in Congo) described … reveal a number of damning elements that, if proven before a competent court, could be classified as crimes of genocide, » said the report, seen by Reuters on Thursday. France’s Le Monde newspaper said Kigali had threatened to withdraw peacekeepers from Sudan over the charges, but Rwandan officials were not available for comment to Reuters. A spokesman for the U.N.’s High Commissioner for Human Rights (UNHCHR), which drafted the 545-page report, said the leaked document was a draft, and had some errors. The report details some 600 serious crimes committed by various forces from a number of nations but Congo expert and author Jason Stearns said Rwanda comes off worst. « The allegation that the Rwandan army could be guilty of acts of genocide against Hutu refugees will greatly tarnish the reputation of a government that prides itself of having brought to an end the genocide against Tutsis in Rwanda, » he said. The final report is due to be presented next week by the UNHCHR, but Stearns said that there was still debate over the inclusion of the genocide accusation, which risked hurting Rwandan President Paul Kagame, who has just won re-election but faces unprecedented dissent within the Tutsi elite. « While most of the dissenting officers were also involved in these alleged massacres in the Congo, this report could further rock the regime, » he said. The report was intended as a mapping exercise of the most serious crimes committed in Congo, which is still seeking political stability, battling economic woes and debating the future role of U.N. peacekeepers ahead of elections next year. Congo’s President Joseph Kabila, who took over when his father Laurent was assassinated, wants U.N. troops out of the country next year but also regularly calls on them to help his weak army face down local and foreign rebels still active there. It is intended as a historical document to detail the most serious crimes and provide the Congolese authorities with information that they can use to seek justice. 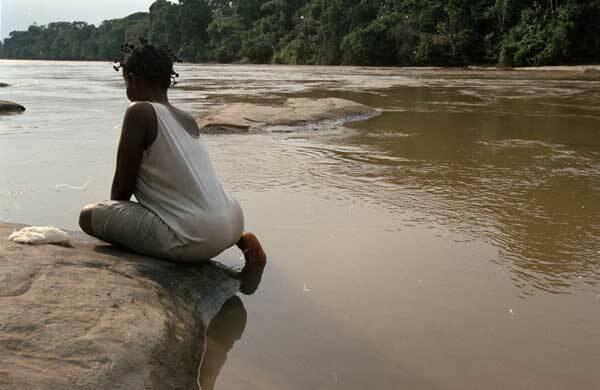 Congo’s last main war, which ran from 1998-2003 and at times turned into a scrap for the vast nation’s minerals, inflicted so much damage it became known as Africa’s World War. KIGALI, RWANDA- The short period the US has given countries to prove their minerals are not from Democratic Republic of Congo (DRC) will disrupt supply and hurt economies, a Rwandan geologist has said. On July 20, 2010, the US President passed the Dodd-Frank Wall Street Reform and Consumer Protection Act. 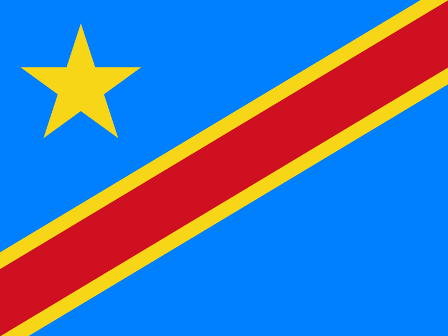 A key provision in the law requires companies to disclose whether they use minerals from DRC or neighbouring countries within nine months. The aim is to cut the source of funding that allowed rebel groups to terrorize communities, use sexual violence as a weapon of war and cause millions of deaths in Eastern DRC. 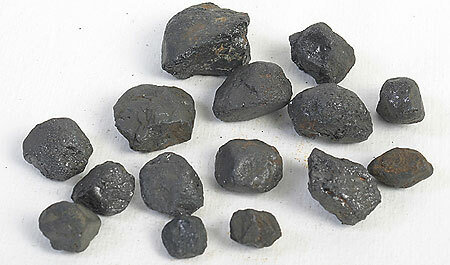 Tantalum is used to make electrical capacitors that go into phones, computers and gaming devices. Tungsten creates vibrations in cell phones, tin goes into circuit boards and gold is used to coat wiring. This new law affects companies like IBM, Intel, Motorola, Apple and HP, but there is fear these companies may source their suppliers from other mineral producing countries to avoid being associated with conflict minerals and to costs involved in carrying out private audits. These companies are large consumers of Tin, tungsten tantalum, 3T’s and gold from the DRC and neighbouring countries. Now they will have to submit annual detailed report on supply chains, backed by independent audits are to be reported to the US Congress. 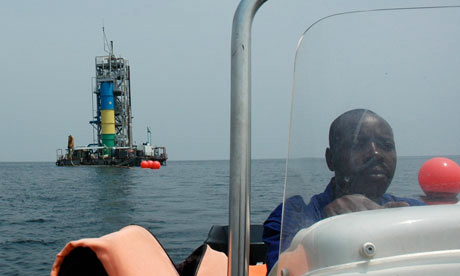 The speculation is rife that the companies may chose to avoid the expenses of dealing with DRC’s neighbours. « It is easy for the producers of electronics destined for the US to obtain their « conflict minerals » from other sources, » a commentator in Kigali said. Rwanda, Uganda, Burundi, Tanzania are bound to be affected by this law in the short run. In an interview with Dr. Michael Biryabarema, Director General Rwanda Geology and Mines Authority believes many countries have no capacity and resources to implement the certification process within the required nine months as the US Congress wants. He argues that enough time is required for companies to put the mineral tracing processes in place since the legislation implies that even minerals produced in countries neighbouring DRC have to be certified. 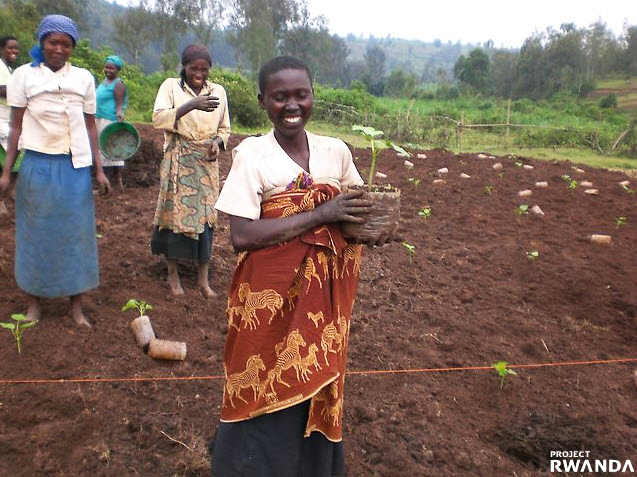 « This calls for the mineral sector in Rwanda to strengthen its capacity in documentation and be in position to satisfy the consumer community. The timing for implementation should be clearly studied to avoid hurting the industry that has no connection to the conflict source whatsoever, » Biryabarema says in a statement. Rwanda has started a certification process where mining companies in the country that comply with internationally accepted standards are to be graded and issued with a certificate of compliance by the end of this year in an effort to improve the performance of the sector. Africa Command’s area of responsibility includes more nations – 53, all African states except Egypt, which remains in U.S. Central Command, and the Sahrawi Arab Democratic Republic (Western Sahara), which is a member of the African Union but which the U.S. and its NATO allies recognize as part of Morocco, which conquered it in 1975 – than any of the Pentagon’s other Unified Combatant Commands: European Command, Central Command, Pacific Command, Southern Command and Northern Command (founded in 2002). The U.S. is alone in maintaining regional multi-service military commands in all parts of the world, a process initiated after World War Two as America pursued its self-appointed 20th century manifest destiny as history’s first worldwide military superpower. Until October 1, 2008 Africa was overwhelmingly in the European Command’s area of responsibility, with all African nations assigned to it except for Egypt, Seychelles and the Horn of Africa states (Djibouti, Eritrea, Ethiopia, Kenya, Somalia and Sudan) overseen by Central Command, and three island nations and a French possession off the continent’s eastern coast (Comoros, Madagascar, Mauritius and Reunion) placed under Pacific Command. 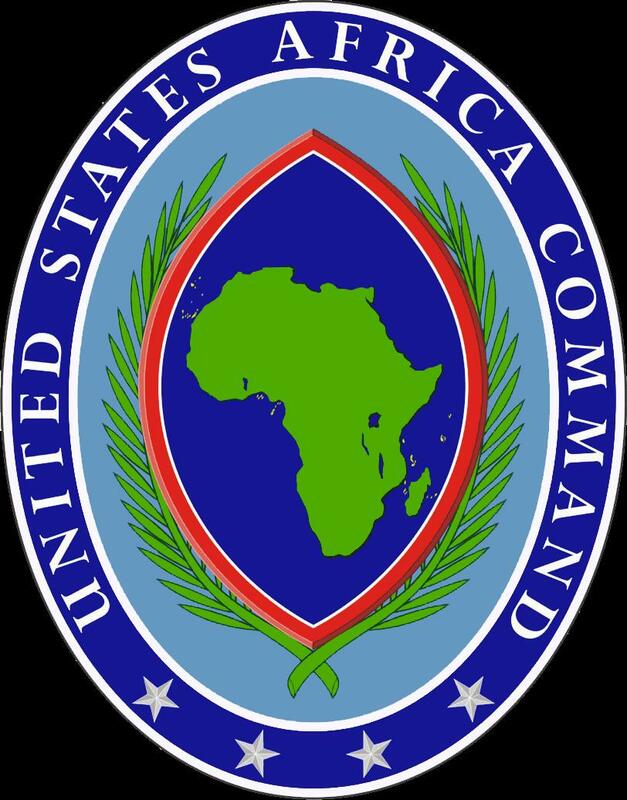 The Defense Department official identified all the key components of Africa Command’s role and adumbrated what has transpired in the almost three-year interim: By subsuming nations formerly in the areas of responsibility of three Pentagon commands under a unified one, the U.S. will divide the world’s second most populous continent into five military districts, each with a multinational African Standby Force trained by military forces from the United States, NATO and the European Union. « One team will have responsibility for a northern strip from Mauritania to Libya; another will operate in a block of east African nations – Sudan, Ethiopia, Somalia, Uganda, Kenya, Madagascar and Tanzania; and a third will carry out activities in a large southern block that includes South Africa, Zimbabwe and Angola…. -Arab Maghreb Union: Algeria, Libya, Mauritania, Morocco and Tunisia. -East African Community (EAC): Burundi, Kenya, Rwanda, Tanzania and Uganda. -Economic Community of West African States (ECOWAS): Benin, Burkina Faso, Cape Verde, Cote d’Ivoire, Gambia, Ghana, Guinea-Bissau, Liberia, Mali, Nigeria, Senegal, Sierra Leone and Togo. -Economic Community of Central African States (ECCAS): Angola, Burundi, Cameroon, Central African Republic, Chad, Republic of Congo (Brazzaville), Democratic Republic of Congo (Kinshasa), Equatorial Guinea, Rwanda and Sao Tome and Principe. –Southern Africa Development Community: Angola, Botswana, Democratic Republic of Congo, Lesotho, Madagascar, Malawi, Mauritius, Mozambique, Namibia, Seychelles, South Africa, Swaziland, Tanzania, Zambia and Zimbabwe.